Hill recorded 196 rushing yards and two touchdowns on 37 carries, four receiving yards on three catches and 64 passing yards and an interception on 3-for-7 passing while playing in 16 games in 2018. 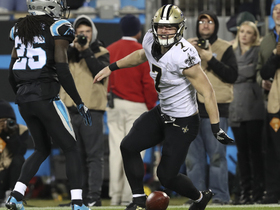 Analysis: Hill was a jack of all trades for the Saints in 2018. After playing in just 72 snaps across five games as a rookie in 2018, Hill played 524 snaps this year, with a majority of his work coming on special teams. While he operated as a gadget player for New Orleans, he never turned into a reliable fantasy option given his limited touches on a week-to-week basis. He'll likely see a similar role in 2019, though he could move up to the No. 2 quarterback slot. Hill gained 24 yards on four carries in Sunday's win against the Bengals. Hill rushed twice for 10 yards and gained 49 yards on two kickoff returns in Sunday's win against the Rams. He also dropped his only target. Analysis: The Saints eased back on Hill's usage against the Rams' formidable defense -- he played just 11 of the team's 71 offensive snaps -- but the hybrid quarterback still converted on a fourth-down run that eventually led to a touchdown on the Saints' first drive. 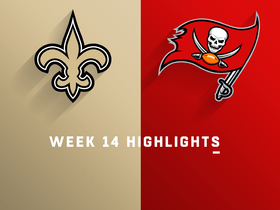 Still, head coach Sean Payton continues to use Hill in a variety of ways, and while the quarterback is unlikely to be a serious fantasy contributor in most leagues, he remains an option for desperate owners in two-quarterback leagues. Hill caught one pass for five yards, rushed three times for negative two yards and returned two kickoffs for 50 yards in Sunday night's win against the Vikings. He also completed his only pass attempt for 44 yards, a career-long. Hill gained 23 yards on five carries, including a one-yard touchdown, and returned two kickoffs for 43 yards in Monday night's win against the Redskins. Hill is expected to retain a similar role despite Mark Ingram's return from suspension in Week 5, Josh Katzenstein of The New Orleans Times-Picayune reports. Analysis: Hill has been a do-it-all quarterback/special teams specialist and notched his first career reception and completion in Sunday's win over the Giants. 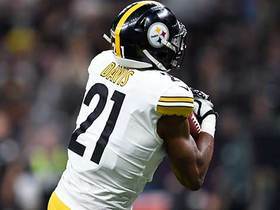 The 28-year-old saw 15 offensive snaps Sunday, more than double the amount of offensive snaps he saw through the first three weeks of the season. Over the last two games, Hill has seven carries for 67 yards in the last two games. Hill gained 28 yards on four carries and caught one pass for negative four yards in Sunday's win against the Giants. He also returned one kickoff for 16 yards and was 1-for-2 for 10 yards. Hill gained 35 yards on three carries in Sunday's win against the Falcons. He also returned three kickoffs for 64 yards. Hill will likely focus on special teams this season after the Saints acquired Teddy Bridgewater in a trade with the Jets on Wednesday, Josh Katzenstein of The New Orleans Times-Picayune reports. Hill did not register in the box score in Sunday's 29-24 NFC divisional-round defeat to the Vikings, but he played 19 special-teams snaps and narrowly missed blocking a punt in the second half. Hill (illness) is listed as active for Sunday's NFC divisional-round game against the Vikings. Analysis: Hill was unable to practice Friday due to an illness, but he's now healthy enough to suit up Sunday and provide depth at quarterback behind Drew Brees and Chase Daniel. Hill (illness) is listed as questionable for Sunday's NFC divisional-round game in Minnesota. Analysis: Hill wasn't available to practice Friday, though he seems likely to recover in time for Sunday's 4:40 PM ET kickoff. However, even if he's ultimately cleared to play, Hill hasn't seen the field since logging one snap in Week 16 and isn't guaranteed to see the field against the Vikings. 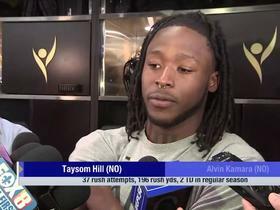 Coach Sean Payton suggested Tuesday that Hill will continue to be incorporated on offense in some situations, Herbie Teope of The Times-Picayune reports. 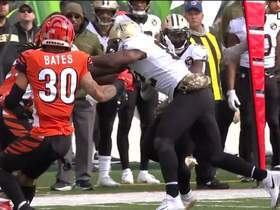 "Just looking at different situations, I think it was a screen play," said Payton. "We'll continue to do that." Analysis: Hill possesses enough athletic ability to play different positions on the field and has even contributed on special teams this season. He checked in for just one offensive play Sunday, so it remains unlikely that the rookie signal-caller will see enough usage to warrant fantasy ownership in most leagues. 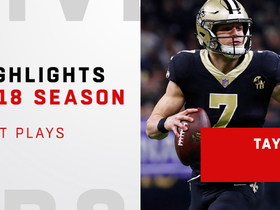 Watch the best plays from New Orleans Saints quarterback Taysom Hill in the 2018 NFL season. 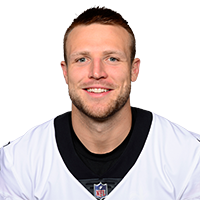 New Orleans Saints quarterback Taysom Hill refuses to be taken down as he forces his way into the end zone on a 9-yard touchdown run. 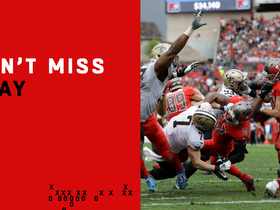 New Orleans quarterback Taysom Hill blasts through the Tampa Bay Buccaneers line with a blocked punt. 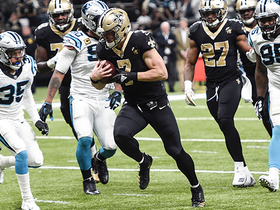 New Orleans Saints quarterback Taysom Hill sheds tacklers for a first down rush. 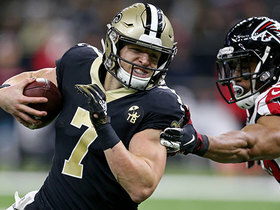 New Orleans Saints quarterback Taysom Hill lines up as a wide receiver and sets a block for running back Alvin Kamara on a 13-yard catch. 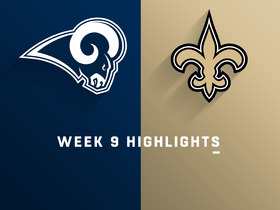 The New Orleans Saints hand the Los Angeles Rams their first loss of the season with a 45-35 victory in Week 9 of NFL action.